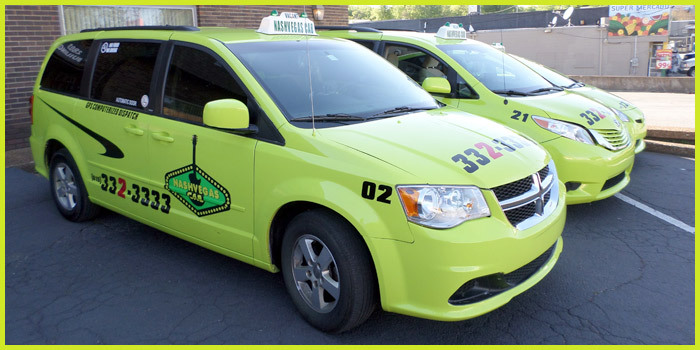 NashVegas Cab™ is humbled to service the Metropolitan Nashville and Davidson County and its surrounding counties area residents, business travelers, visitors and tourists of the music city with their taxi cab transportation needs. 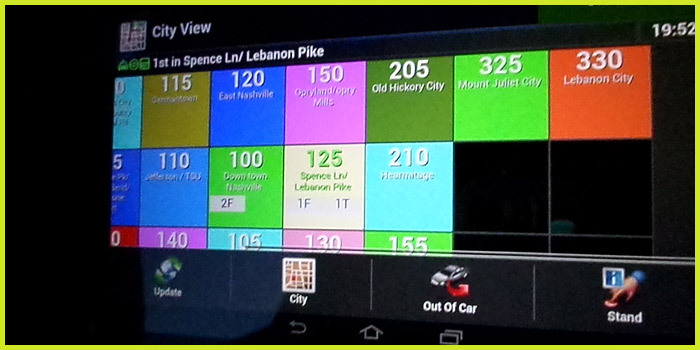 NashVegas Cab™ is proud to be the first in our industry for Metropolitan Nashville and Davidson County and its surrounding counties to deploy a FREE NASHVEGAS CAB™ TAXI APP FOR ANDROID PHONES and APPLE IPHONES, WEB BOOKING and a FREE kiosk service ( See locations) for our customers’ convenience. Please download our free app to get a faster service. 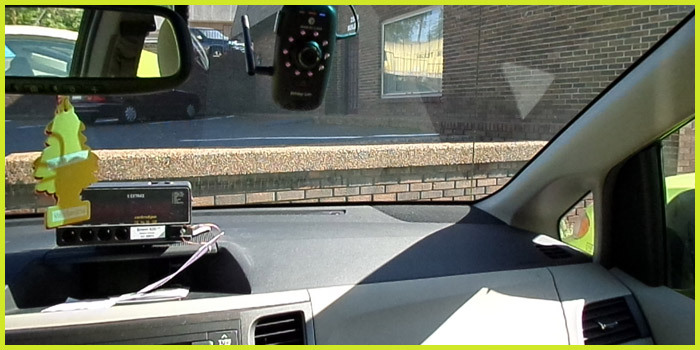 You don’t have to call the dispatch line. 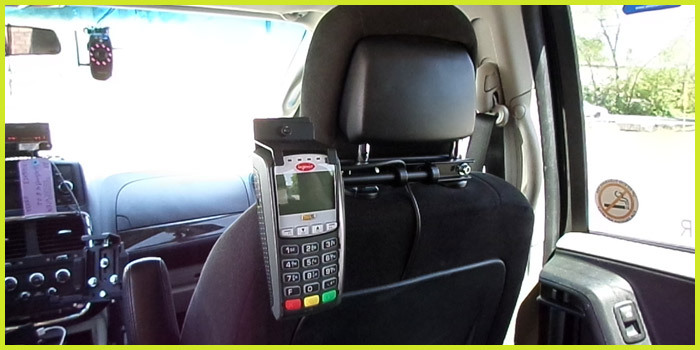 With a couple clicks you are off to a great service and your destination. 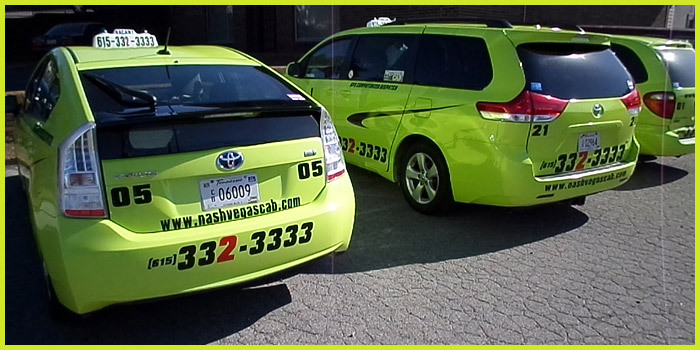 NashVegas Cab™ is equipped with a state of the art GPS Based computerized dispatch system making dispatching easier, pick-up of calls timely and service faster. 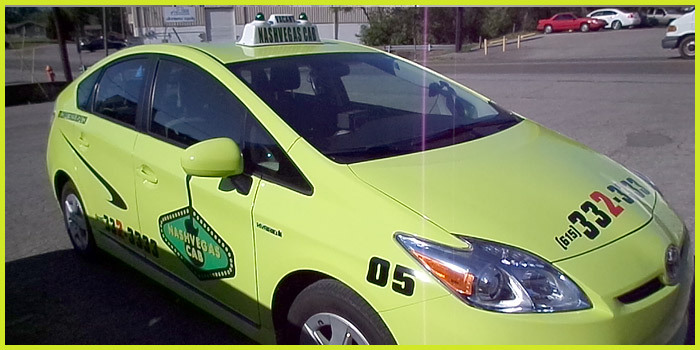 Our dispatch staffs are local based, know their city and neighborhood, courteous, and trained in customer service. 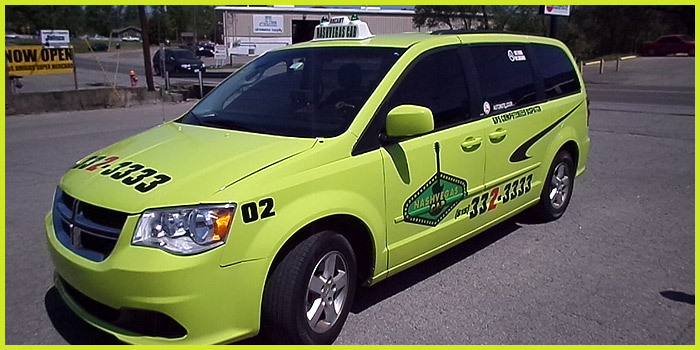 The company runs a fleet of latest models and most advanced fuel efficient vehicles in the industry. 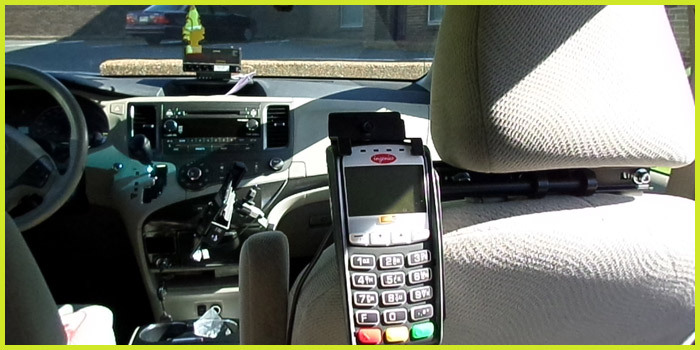 Our vehicles are clean inside and outside, equipped with on board dual lens HD Camera for your safety, tablet based dispatch system, a back seat credit card system accepting all major credit cards for your convenience and GPS system for fast and accurate route navigation. 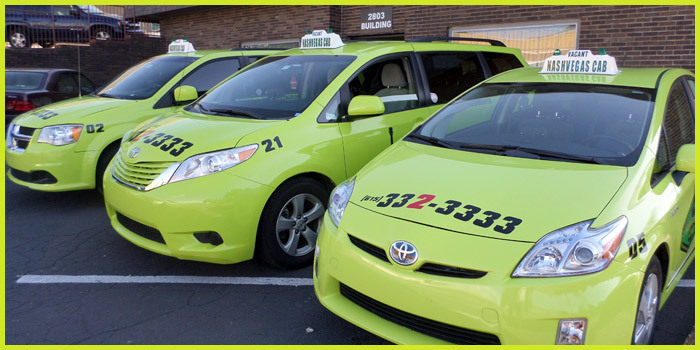 Our drivers are trained in customer service, randomly screened for drugs and illegal substances, professional and courteous with combined over 600 years driving experience in the Metropolitan Nashville and Davidson County and its surrounding counties alone. 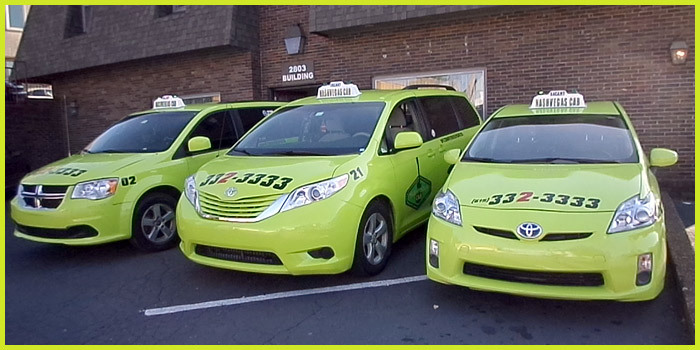 We thrive to earn your business and keep you a happy customer. 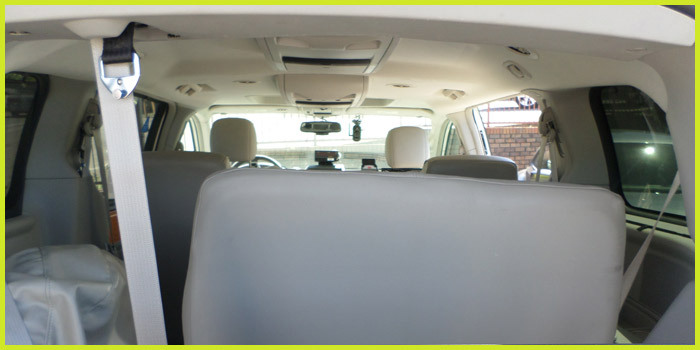 We accept company accounts, group reservations, special event booking, advanced booking for individuals or groups as well. 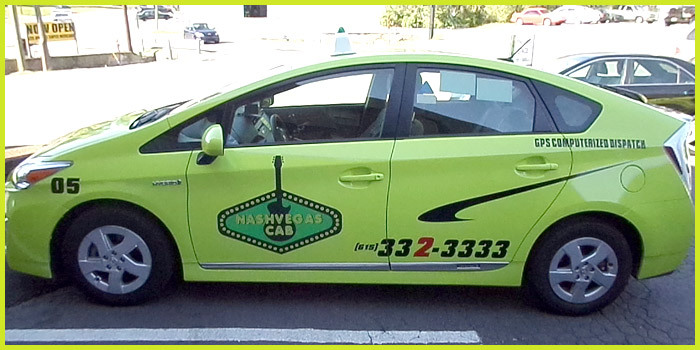 We are open for service 24 hours a day 7 days a week 365 days a year. We are open during holidays. 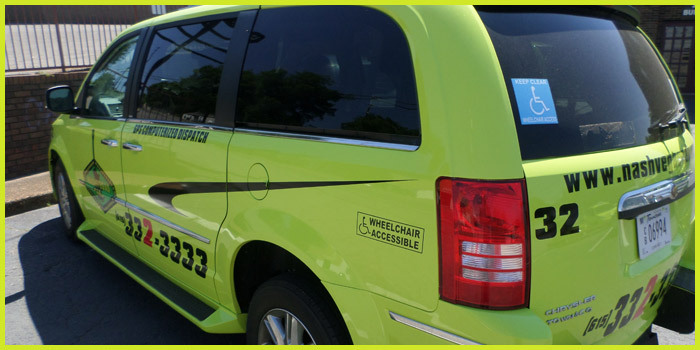 We deploy sedans, vans, ADA accessible wheel chair vans in our fleet. 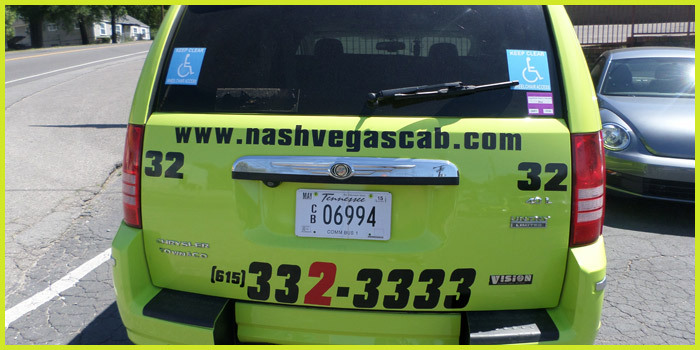 Please call us for service by using our free NashVegas Cab™ App, Book Online or call our main dispatch line (615) 332-3333. 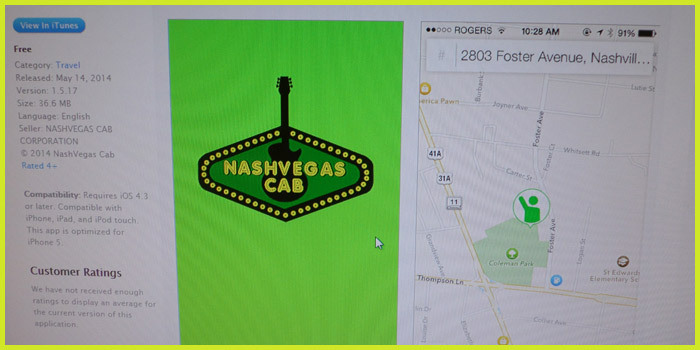 AVOID THE WAIT ON THE PHONE LINE, DOWNLOAD OUR NASHVEGAS CAB™ FREE TAXI APP FOR YOUR ANDROID AND IPHONE PHOENS OR, WEB BOOK FOR FASTER SERVICE.